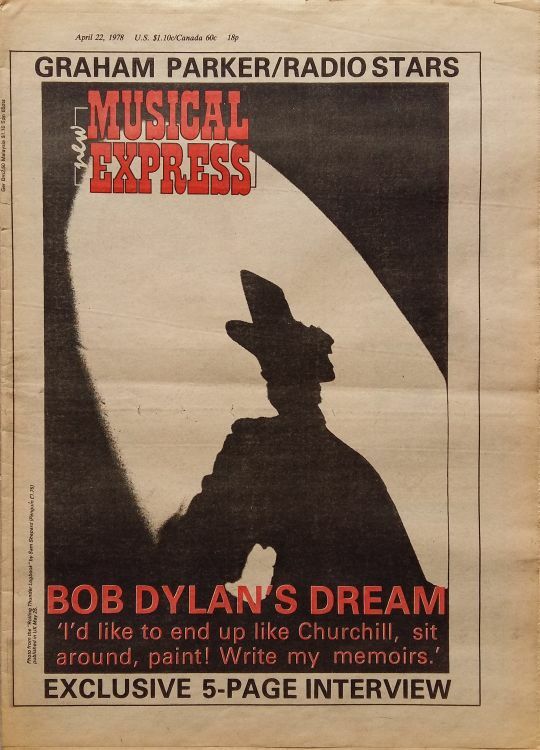 THE NEW MUSICAL EXPRESS, UK. 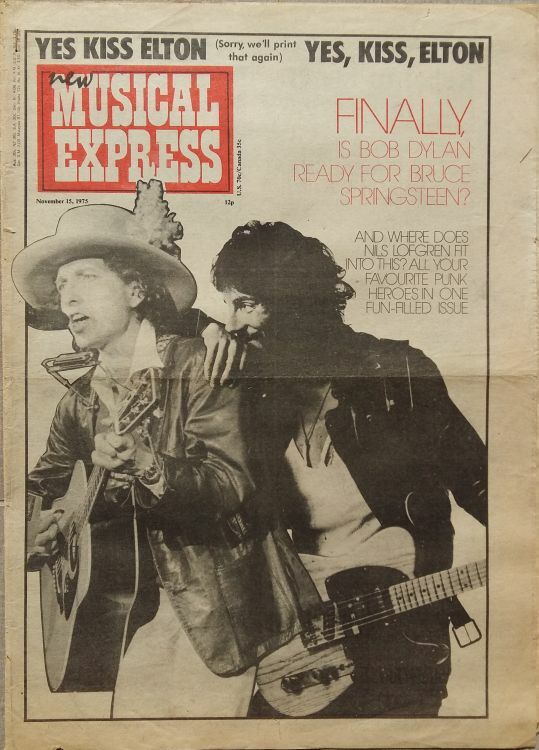 New Musical Express (NME) is a British music journalism magazine published since 1952. 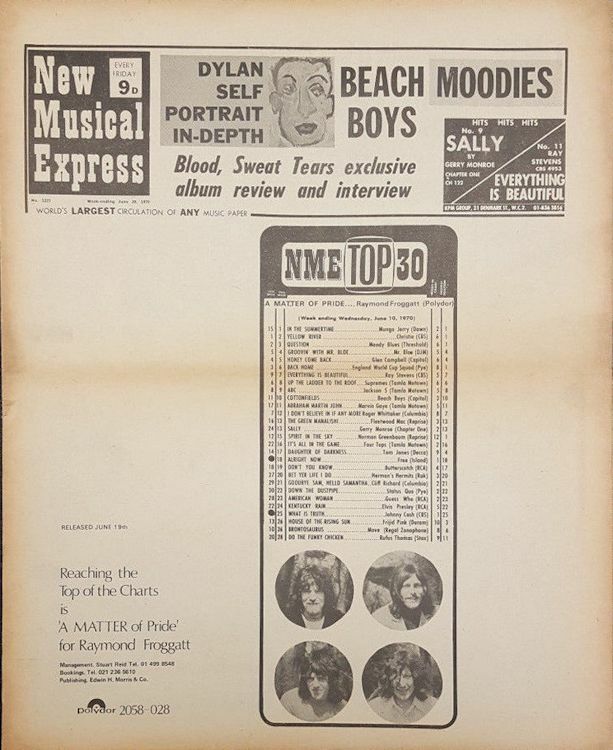 It was the first British paper to include a singles chart, in the edition of 14 November 1952. 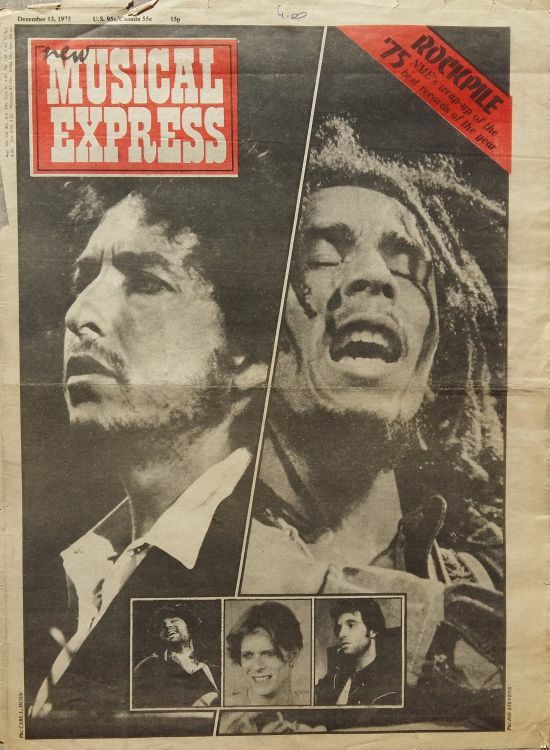 In the 1970s it became the best-selling British music newspaper. 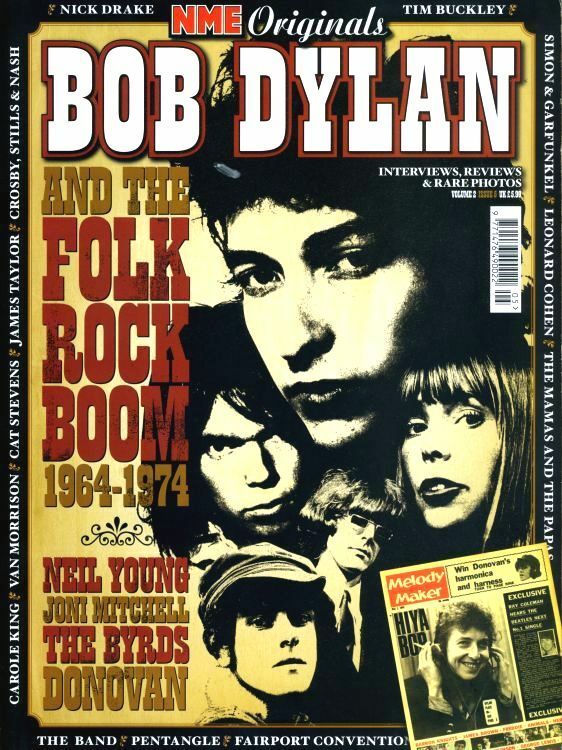 During the period 1972 to 1976, it was particularly associated with gonzo journalism, then became closely associated with punk rock through the writings of Julie Burchill, Paul Morley and Tony Parsons. 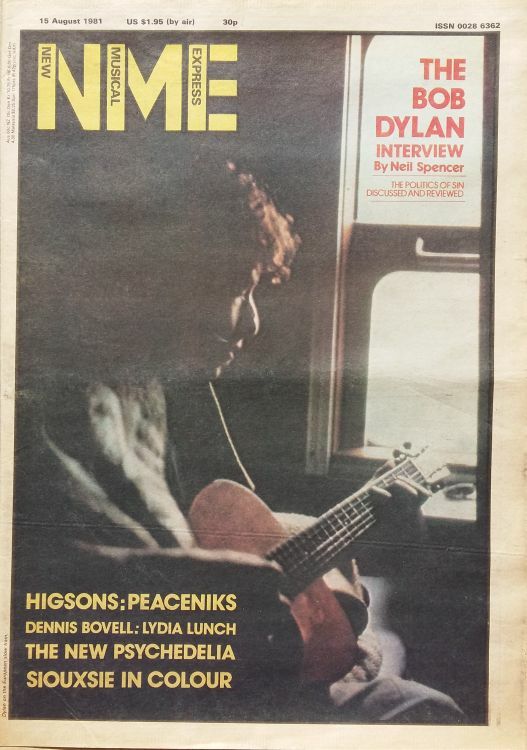 It started as a music newspaper, and gradually moved toward a magazine format during the 1980s and 1990s, changing from newsprint in 1998. 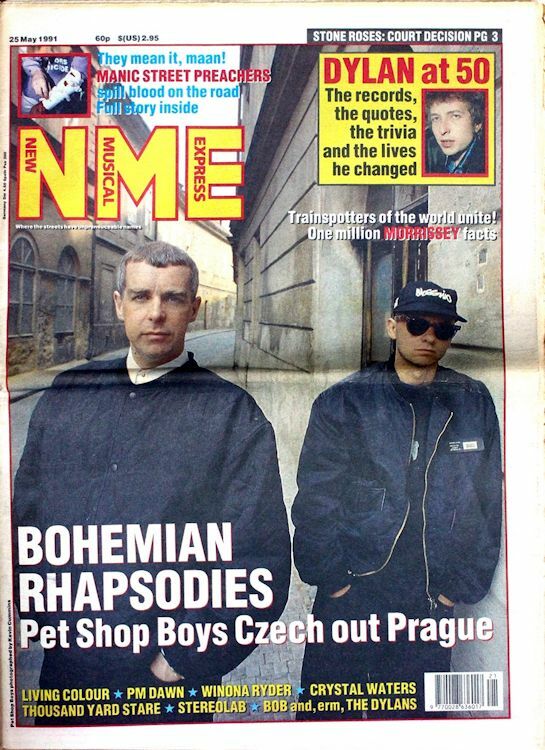 An online version of NME, NME.com, was launched in 1996. It became the world's biggest standalone music site, with over seven million users per month. With newsstand sales falling across the UK magazine sector, the magazine's paid circulation in the first half of 2014 was 15,830. 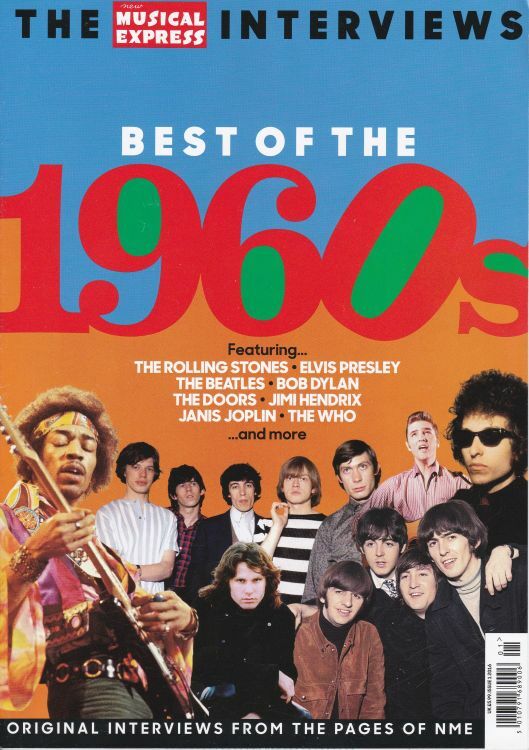 In 2013, the list of NME's The 500 Greatest Albums of All Time and the way it was conceived was criticized by the media. 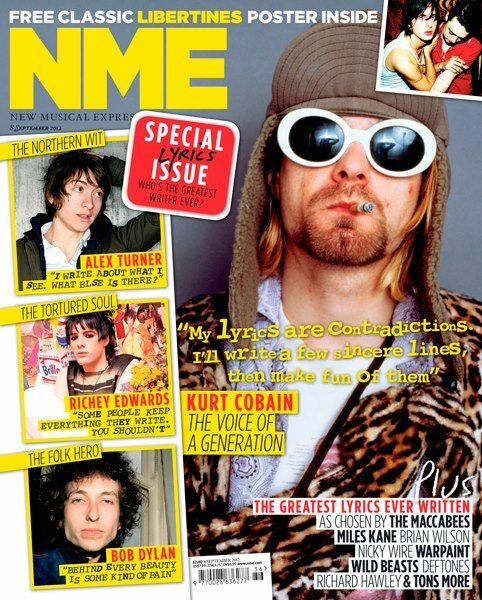 NME magazine was relaunched in September 2015 as a nationally distributed free publication. 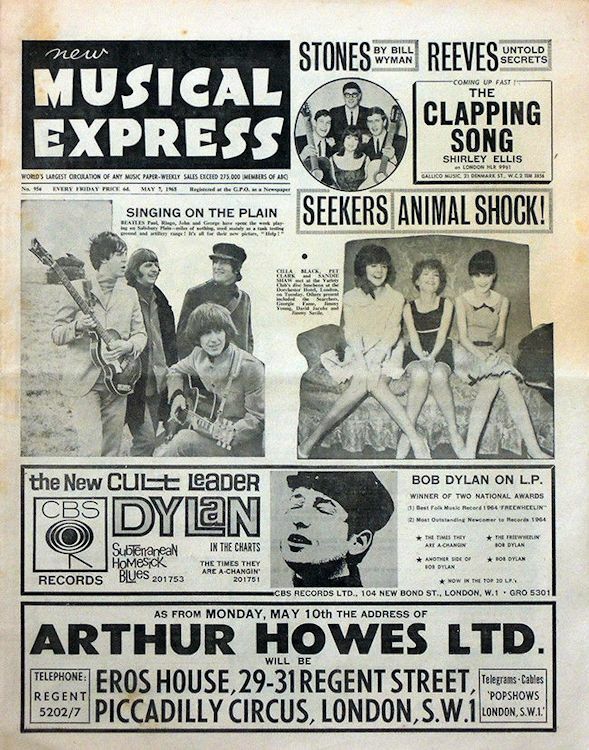 The first circulation figures published in February 2016 of 307, 217 copies per week were the highest in the brand's history, beating the previous best of 306,881, recorded in 1964 at the height of the Beatles' fame. 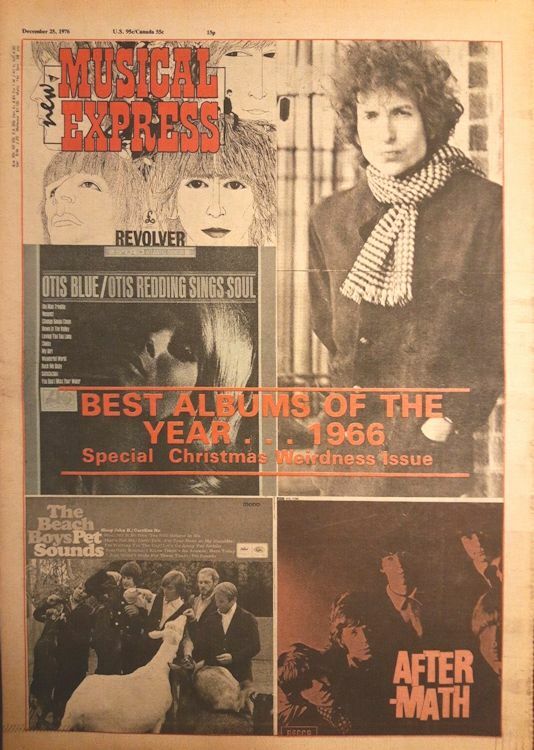 1974 (early), NEW MUSICAL EXPRESS BOOK OF ROCK - A GUIDE TO ROCK IN THE '70s was part-work. 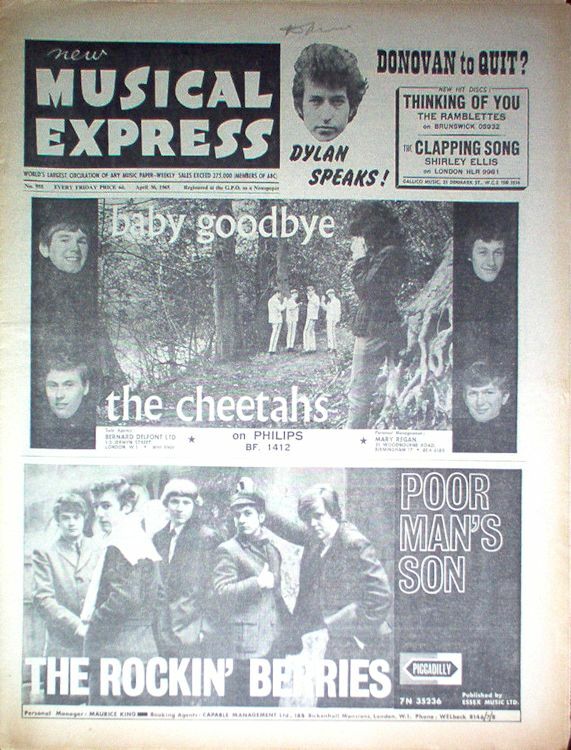 It has 80 pages and the readers collected the parts from successive issues of New Musical Express over 8 weeks, some time in early 1974. 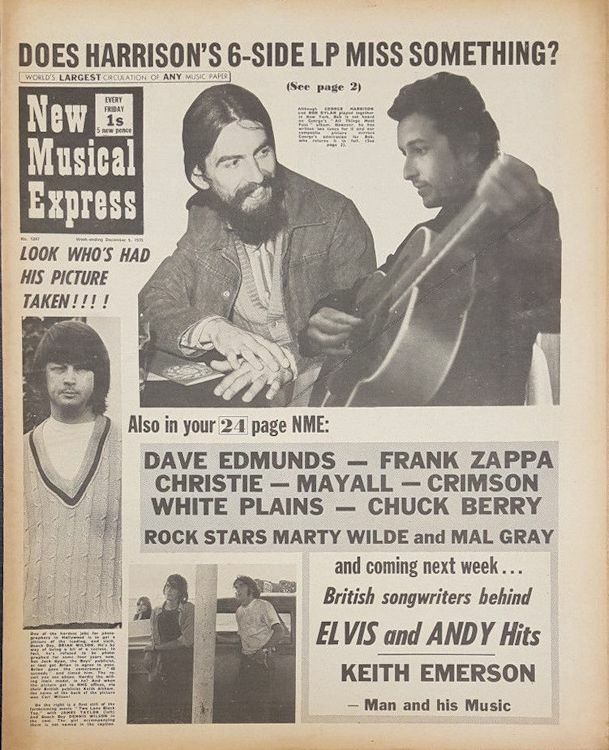 One issue of NME included a card cover, as shown here. You could gather your pages together and put a piece of cord through at the appropriate place to form a sort-of mini-encyclopedia. 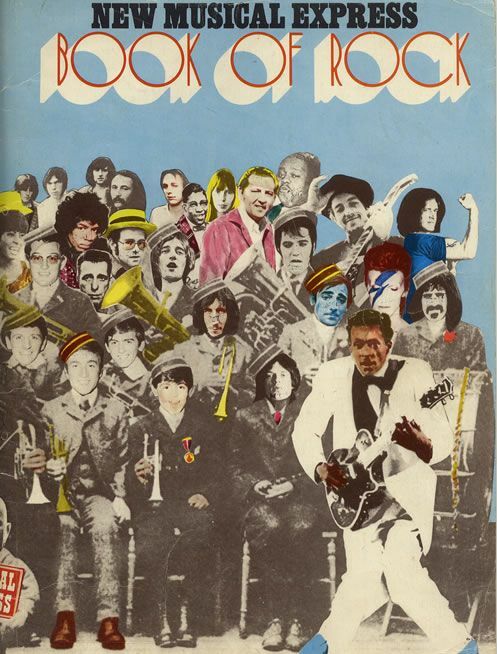 It was an alphabetical listing of the principal groups and individual performers, with a brief history of each and details of their albums, including a few bootlegs. 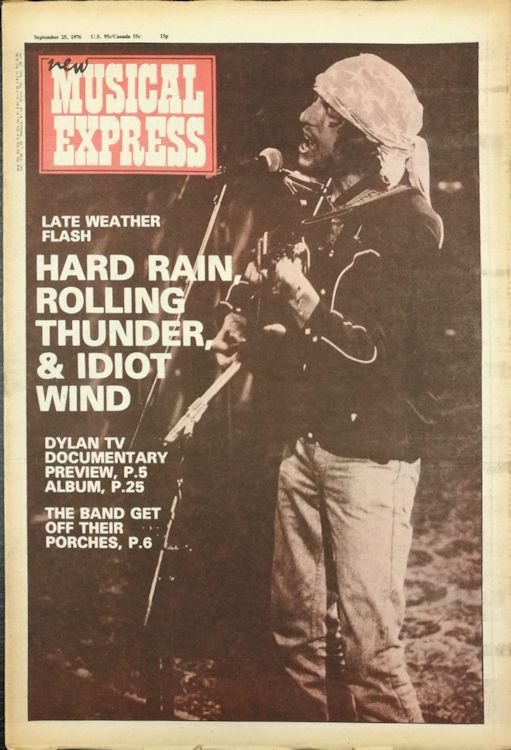 Other musicians were mentioned under headings such as "Singer/Songwriter, American", "Bluegrass" and "Chicago Blues". 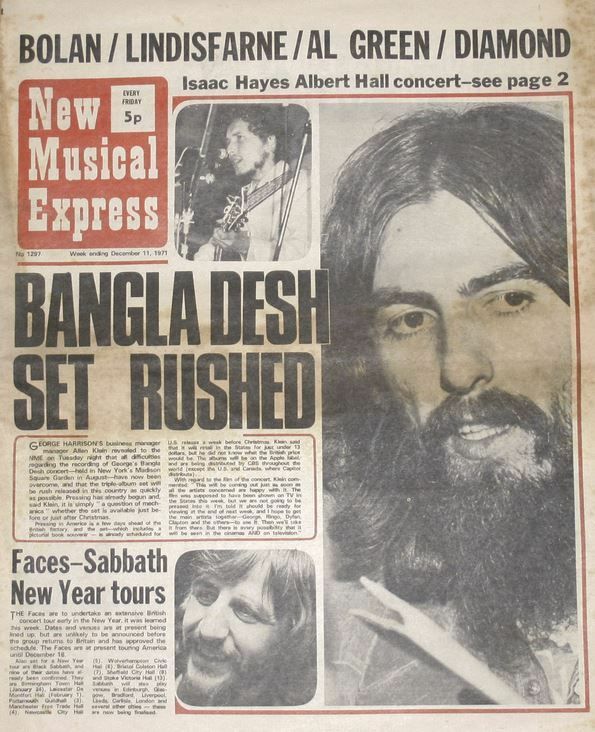 There were also record company names and addresses and details of a few music venues. 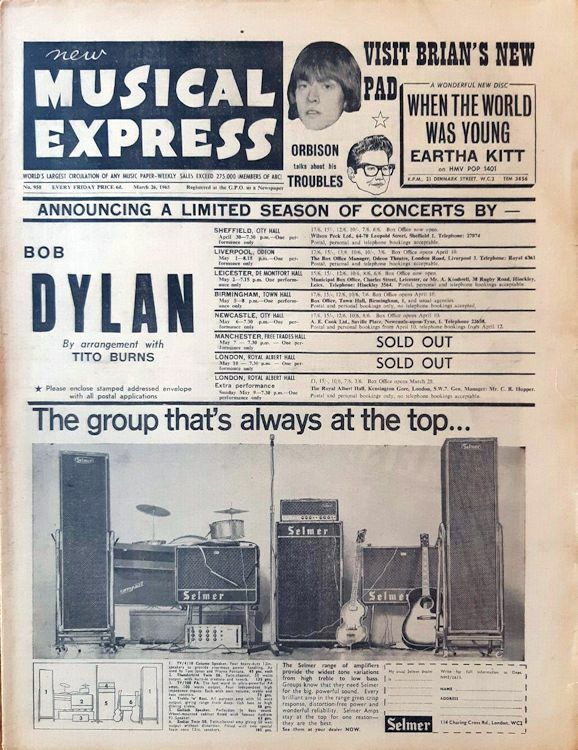 The Beatles got a full page, Dylan a bit less. 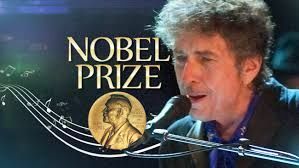 "Skyline Bob" is there on the cover. 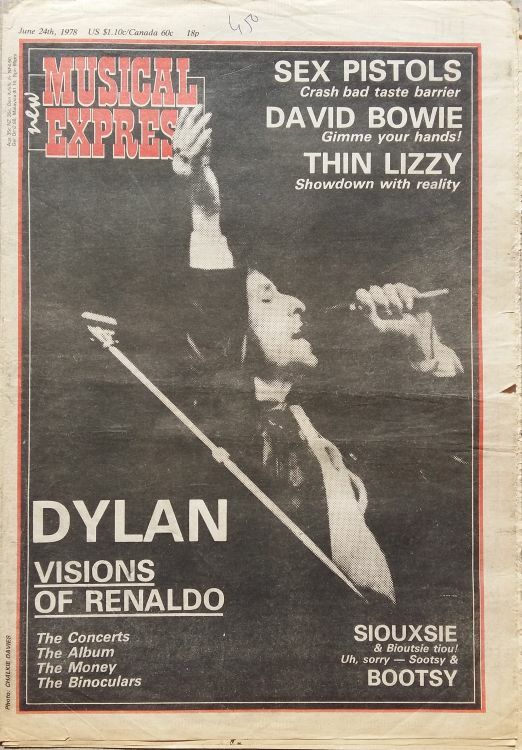 Thanks to Ian Woodward for scan and information.